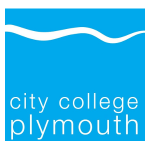 We recently revisited City College Plymouth to carry out some required updates to their Dynamics 365 Education system. They have had our product for about a year now, and as part of our Customer Success Programme, we made some system improvements to help them get the most from the product and to improve the efficiency of some of their working processes. One of the things we discussed with their marketing team was how Dynamics can help them with their GDPR implementation, and we helped them automate this process. We realigned the system so when a new contact is added, their contact preferences are defaulted to ‘do not contact’ until they receive written confirmation of opt in from the client. GDPR is understandably very much top of mind for colleges right now. We have found through our client visits that each college is doing something slightly differently. Dynamics 365 Education is brilliant in this regard, in that it’s a flexible product that will allow a College to shape the fields and forms to the way that they want to work rather than having a static ‘one for all’ solution. See how Dynamics can help keep your data GDPR compliant.